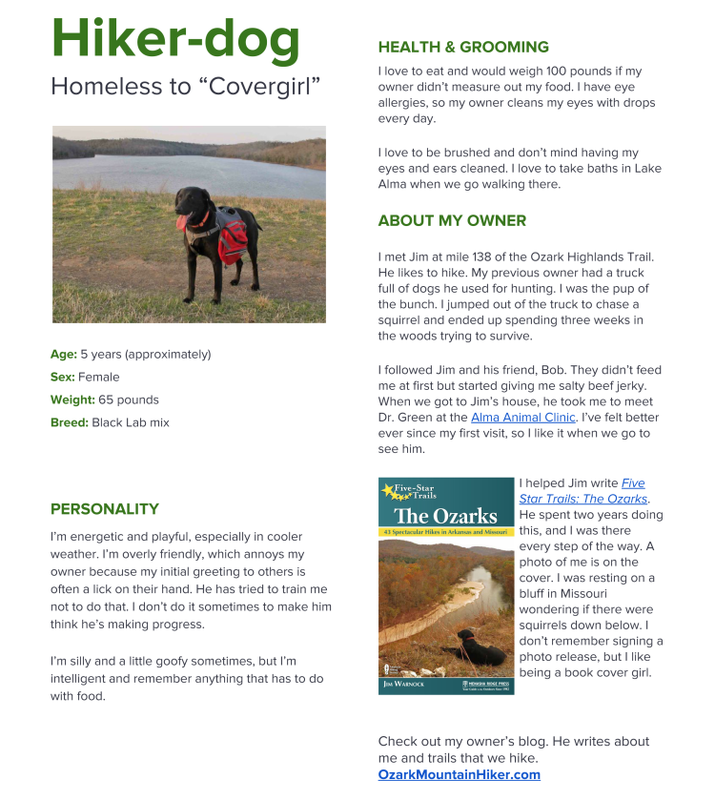 This entry was posted in Arkansas, Books, Dogs, Home page, Ozarks, Writing and tagged Dangerous Deeds, Dogs, Hiker-Dog, Ozark Highlands Trail, Ozark Mountain Hiker, Waterside Kennels Mysteries, Writing. Bookmark the permalink. 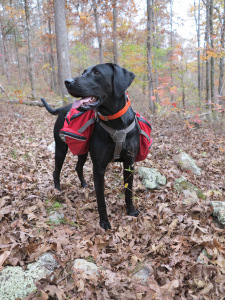 Tammy, Hiker-dog has earned a wonderful life with Jim!